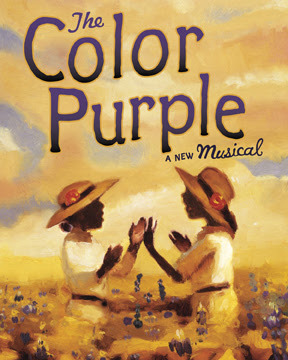 This afternoon, I went to see The Color Purple which is part of the best of Broadway series. It is a musical based on the movie (which happens to be one of my favorites). Sort of the same story line, but with a couple changes and of course, singing and dancing. Robin planned the outing for Angela, Wendy and I - it was an early Christmas present and so much fun. Robin, you are too kind, thank you so much for getting us together today. I wish we all lived closer to each other so we could get together more often. Following the musical, we went to Pad Thai for dinner. Everything we ordered was fantastic! The pad thai was better than I had last time (I updated my post called "the search continues"). Tim was a good sport all day, dropping us off at the theatre and picking us up, he joined us for dinner which was nice. A good weekend all around.